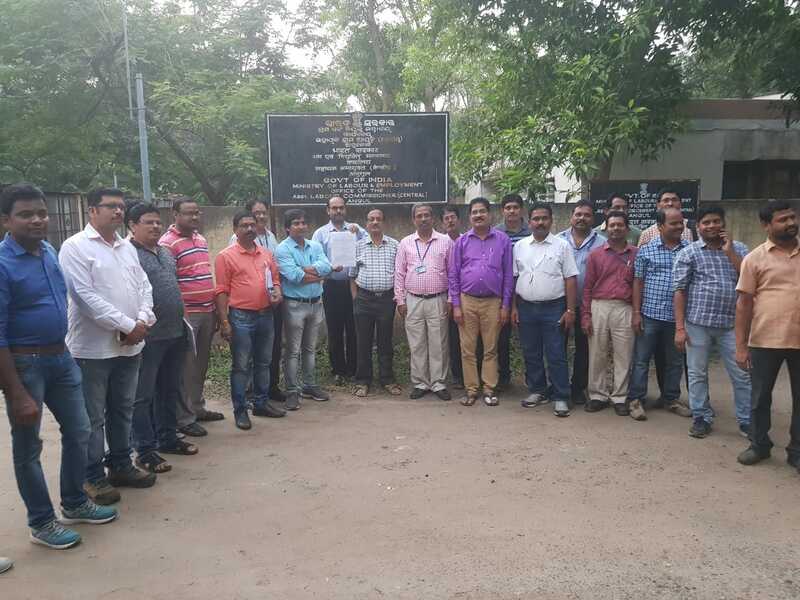 Bhubaneswar: A Tripartite Settlement on Wage Revision has been signed between NTPC Talcher Kaniha Management and its Workmen represented by NTPC Employees Union (INTUC) and Bidyut Karmachari Sangha/TSTPP (BMS) before Shri D. Garnaik, Assistant Labour Commissioner (Central), Angul on 27th October’2018. Duration/ periodicity of wage agreement, effective from 01.01.2017 will be for a period of 10 (Ten) years, i.e. till 31.12.2026. About 630 non-executive employees of NTPC-Kaniha will be benefited from this wage agreement. From Management side, Shri K.S. Sarma, AGM (HR), Jakir Khan, DGM (HR) & Shri Rajendra Ku. Behera, Sr. Manager (HR) signed the Settlement. Shri B.N. Hati, Vice-president, Shri Satyananda Sahoo, General Secretary, Shri Binod Ku. Sahoo, Joint Secretary & Shri Bimal Ku. Pradhan, Treasurer signed the Settlement on behalf of NTPC Employees Union (INTUC) & Shri Birendra Ku. Kanungo, President, Shri Ambuja Ku. 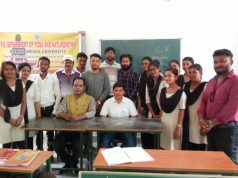 Sahoo, Vice-President, Shri Suvendu Ku. Sahoo, General Secretary, Shri Madan Raul, Treasurer signed the Settlement on behalf of Bidyut Karmachari Sangha/TSTPP (BMS). The Settlement has been appreciated by all employees.